Cigar connoisseurs are always looking for a highly refined and luxurious cigar. Davidoff hand-rolled premium cigars offers extremely high grade assortments ranging in different blends and strengths from medium to full-bodied. Each and every Davidoff premium cigars are unique and distinct in flavor, infused with only the finest tobaccos grown in the world, handcrafted individually by highly skilled cigar rollers in the Dominican Republic since 1946. 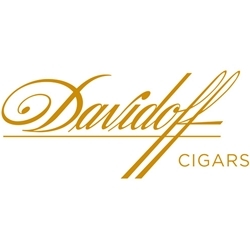 Smokers Discounts believes you'll love Davidoff premium cigars. We’ve made it easy and affordable to buy these hand-rolled cigars online. A variety of sizes and flavors are listed below in our online cigar store. Each of these styles are in stock and available today for a low discount price. Call us for more details!